Choosing vegetable seeds - how and what do I buy? Choosing a variety of vegetable plant or seeds to grow in your garden can be difficult – there are so many to choose from. 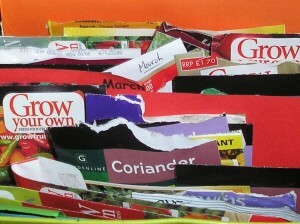 Looking at the hundreds of seed packets on offer in catalogues or on garden centre shelves can be bewildering, so where should you begin? There are several factors to bear in mind before you open your wallet and keeping a list of possibilities in said wallet is one of them. It’s a bit like the golden rule of grocery shopping – never shop on an empty stomach. So when shopping for seeds, never shop without a wish list. How do I make a wish list of seeds? 1. What do you or the people you’re growing for like to eat? There’s no point planting a big patch of radishes if only one of you eats them, so your list should start with what you and the people you’re feeding like to eat. 2. How much space do you have? Will you be growing in containers, a small back or front garden, in flower borders, raised beds, or a larger allotment? Seed companies are now producing plants developed to grow specifically in containers, such as dwarf baby tomatoes that can be grown in hanging baskets and can withstand drought better. Cabbages take up a lot of room and take a long time to grow. Choosing Savoy, red or white cabbages will give you a winter crop when everything else is sparse and they’re often more expensive in the shops too. Some vegetables can be very decorative such as courgettes and rainbow chard. These wouldn’t be out-of-place in flower gardens and runner beans can be grown over pergolas and archways. 3. Do you hope to provide all of the vegetables for your family’s needs year round or just ones you particularly like that are perhaps unusual or expensive, such as shallots or asparagus? To be fully self-sufficient in your vegetable requirements will need quite a lot of space and a greenhouse or polytunnel. You will also need to be fairly organised – by making comprehensive plans for your crop rotation – and be prepared to put in the time and effort of year round sowing, planting and harvesting. 4. How much time do you have to tend to your crops? Some will need more care than others. 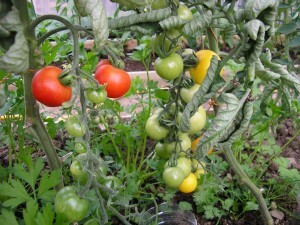 Upright tomatoes for instance will need daily watering and side shooting (pruning), whereas bush varieties don’t. Bean and pea pods will need to be picked on a daily basis too once they’re ready. As soon as you stop picking them, they will stop producing pods. If you plant a three metre double row of runner beans under good soil conditions, not only will you have to pick them daily, you will also have to eat or store about 27kgs of beans. Storing beans usually involves blanching them (plunging them in boiling water for a couple of minutes), then bagging them up and freezing them. 5. What soil type do you have? Knowing whether you have sandy or clay soil will help you choose varieties. For instance carrots prefer to grow in a light soil. If you have to grow vegetables in heavy clay, choosing a round, quick maturing early variety is likely to give you better results. (As the roots wont need to swell as much, they wont be as bothered by the sticky clay). 6. How acid or alkaline is your soil? Most vegetables prefer to grow in a neutral soil with a pH of around 6.5 to 7, although potatoes are much happier growing in acidic soil of 4.5 to 6.0. If you try growing them in soil with a pH of around 8, they’re not likely to grow as well. 7. Are you aware of any pests or diseases in your soil such as eelworm or clubroot? Potato eelworm is a microscopic pest that lives in the soil. The cysts can remain in the soil for years, developing only when a crop is planted there. Clubroot is a disease that can affect Brassica (cabbage type crops). It’s more likely to exist in poorly drained, acidic soils. Carrot root and cabbage root fly can devastate crops. 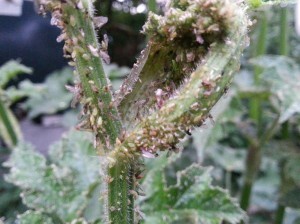 Potato blight is a parasitic fungus that can affect other members of the potato (Solanaceae) family such as tomatoes. Many varieties of vegetables have now been bred to be resistant to these and other problems. If you’re not sure if you’re looking at a pest or a beneficial insect, here’s a couple of posts that will point you in the right direction. The first one here on recognising the good guys, the second on recognising the bugs you don’t want to see hanging out in your vegetable garden. 8. Are you growing 100% organically? If so you will have to buy organic seeds. If you’re growing chemically free, make sure you choose seeds that haven’t been treated with fungicides. Most importantly choose seeds that have not been Genetically Modified (GM). Ask your neighbours what they have grown successfully. If somebody’s growing vegetables nearby to you, they’re more likely to have a similar soil type and pests than a friend or relative 40 miles away. Use their experience as a guide. However, if friends are growing potatoes or onions that aren’t as fussy about soil, try out their recommendations. Keep a note of what you’ve planted. If you had great success with a variety of carrots for instance, make a note and buy that variety again. Or try a couple of different varieties and note which one performs the best. If you decide to grow kale (which isn’t just for the animals, it’s rich in vitamins A, C, E and iron) and you’re not struck on the flavour, don’t be put off kale completely, try a different variety the next time. No matter how good a memory you have, I promise you will forget what variety you’ve planted, where and when, by the end of the growing season if you don’t mark rows and keep notes. It really is worth the effort. 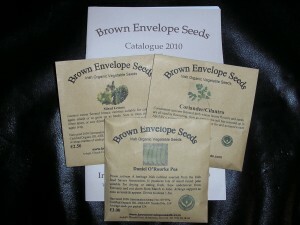 Get hold of a decent seed catalogue or find a good on-line seed supplier. Hardback and paperback gardening books often have suggestions of recommended varieties of vegetables that aren’t available in garden centres, on-line or seed catalogues. Use these suggestions as a guide only. If the variety you’ve chosen says “early” or “main crop”, that’s the part to remember. 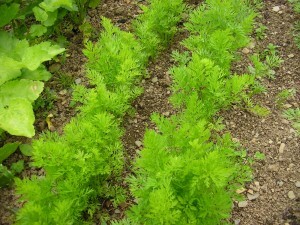 “Early” means it matures much faster – in the case of carrots 12 – 18 weeks and “main crops” will mature in 18 – 24 weeks. However, earlies can be planted later and main crops earlier! If you want to buy seeds locally, but are doing your research in a catalogue or book, look out for the words “good resistance to…”, “resistant to bolting”, “keeps well” or “quick-growing” rather than the named varieties – you may be able to find something similar. Looking at seed catalogues or on-line shops will help you to become familiar with currently available varieties. 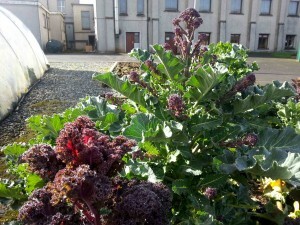 Some seed companies save and grow their own seeds – Brown Envelope Seeds and Irish Seed Savers in Ireland or The Real Seed Company in the UK for instance. 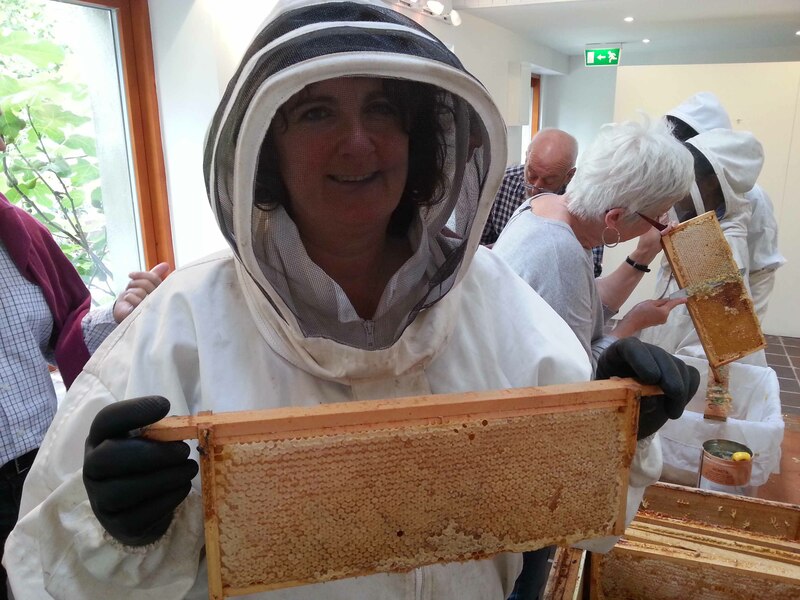 They may have heritage or old varieties that are no longer available from the big commercial companies and may be better suited to the local growing conditions – be guided by their suggestions. These are seeds that have been made by crossing two strong parent plants. The result is a seed with excellent vigour, quality and disease resistance that you can expect to perform well. They are more expensive than other seeds but it’s usually worth paying extra for the almost guaranteed performance. You cannot save the seed from F1 Hybrids however as they will not breed true – often reverting back to a parent. The Royal Horticultural Society in the UK carries out continual assessments and trials of seeds. The best are given the Award of Merit – Gold, Silver or Bronze. So next time I’m asked “what should I sow, what varieties do you recommend?”, I hope you’ll forgive me for not giving you a straight answer…. An excellent tutorial on what questions to ask before starting a veggie plot. The answers to such questions can save a person a lot of time and effort and certainly help to stave off the disappointment of crop failures. Thanks so much for your comments. I agree about the learning curve and hope that my (detailed) notes don't put people off! We still make blunders – sometimes it's the best way to learn – but hopefully we don't waste as much money now.